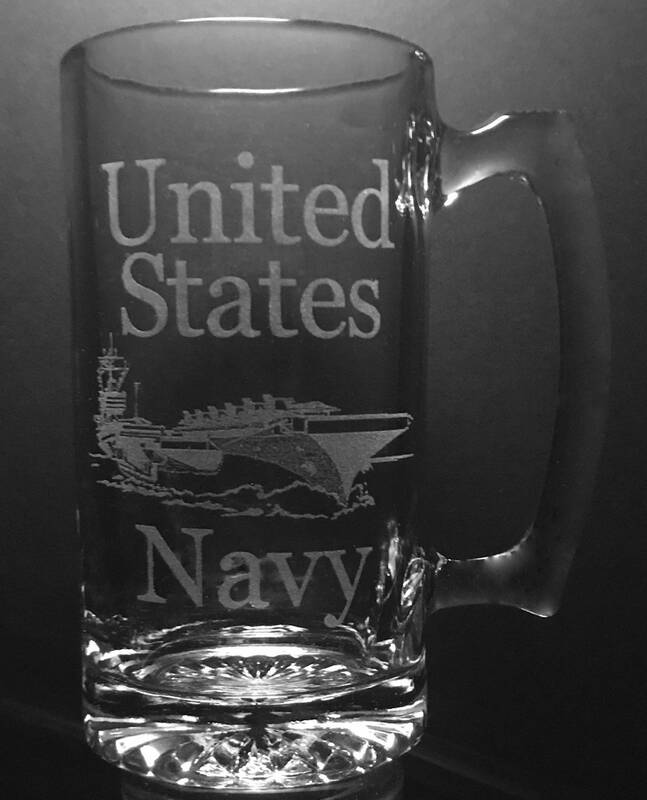 United States Army 25 Ounce Beer Mug. This product can be personalized for long lasting memories. If you would like to have this item personalized, Please follow the steps "below". If you do not want to have this item personalized, just purchase the product as it is displayed. If you want to purchase a large quantity (11 or more) of this glassware, please email (or start an ETSY) conversation with the number of pieces you want to purchase and I will give you the appropriate “Coupon Code” to insert at checkout. There is a wholesale scale on the “About” portion of this sight. You do “Not” have to purchase the same item to qualify for the wholesale discount. This mug can be personalized, on the back, with up to 8 lines of print (20 Characters per line $2.00 per line). Choose the "Personalized Add Ons" section and make your choice. After completing your choice, choose the proper font in the "Font Selection" drop down box. 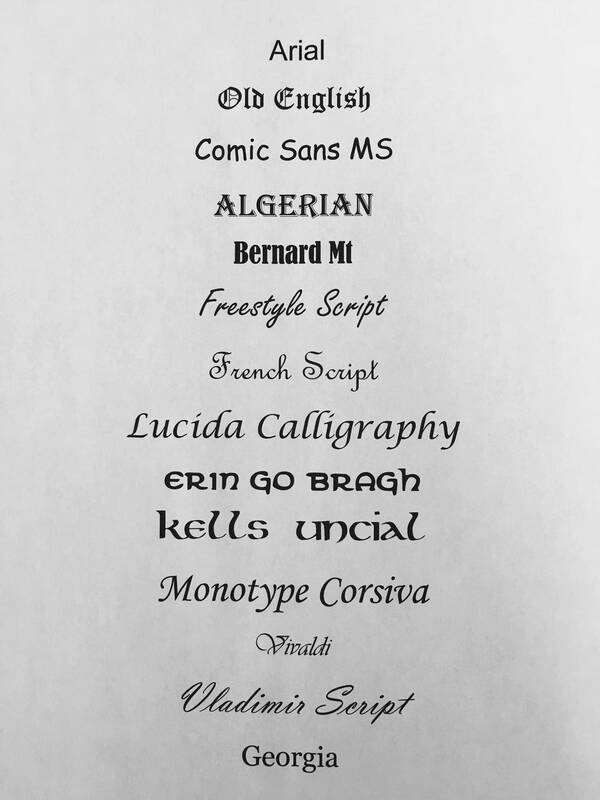 If you want a font that is not listed, please choose "Other Font" and then email what you want printed, and the font style (If not listed) to jandbshaffer [!at] metrocast.net or start an ETSY conversation.